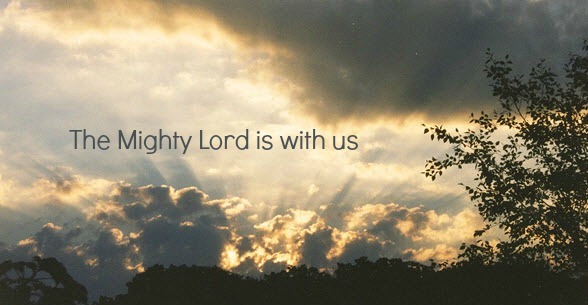 Join us for worship - Sunday at 9:00 a.m. or Tuesday at 6:00 p.m. Visitors are always welcome! Come and hear about salvation through faith in Jesus! 98/977 Sundays at 10:30 am or Mondays at 7:00 pm. 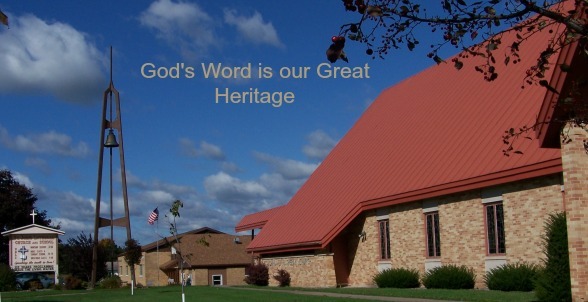 Want to learn more about our church and school history? Water helped bring early settlers to this area: water for floating their logging leads down to the sawmill, water to make crops grow and run the grist mill. But Living Water is what the founders of St. John's Church were most interested in: Life-saving, Living Water for themselves, and especially for their children. In 1817, for the 300th anniversary of the Reformation, King Frederick William III of Prussia decreed that the Reformed and Lutheran churches should merge into one Evangelical Church. While this was at first a "suggestion," pressure to conform gradually became greater and greater until those who didn't were persecuted and jailed. This started a wave of German immigration to the United States from roughly 1839-1843, as tens of thousands of Germans traveled by boat to Wisconsin and other places looking for religious freedom. The Industrial revolution, followed by a widespread potato blight, and the 1848 Revolution, where the common people in the German states were hoping for democracy but were crushed by the nobility, caused a 2nd great wave of immigration from 1845-1865 for political reasons. Land was cheap here--$1.20-$1.25 per acre--and Wisconsin was becoming a state and already had the democratic reforms Germans were seeking. The 3rd great wave of German immigration began in the early 1870's for economic reasons. Family and friends who had already started new lives here wrote back home and told how good things were in America. Several U.S. companies also had active recruiters who went back to Germany distributing pamphlets and maps and urging workers to immigrate here. Most Germans who came to the Neillsville area came after the Civil War, which ended in 1865. Circuit riders (traveling pastors) tried to serve the new, growing Wisconsin-German population's spiritual needs, despite sometimes horrible road conditions, and by 1871 there was a resident pastor among the German people in the Granton (then Maple Works) area. By 1877 a Pastor Fisher from that area was also holding services in Neillsville several times a year. However, there were still many spiritual difficulties. Bill Roberts, a Neillsville historian, told us that he often heard the story of how his great-grandmother, Bertha (Wegner) Tragsdorf, whom he says was one of the founding women of our congregation, as a teenager would walk from her home-Karl and Louise Wegner's home (kitty-corner Northwest of the Pine Valley Church off of Highway G) along the south side of the Neillsville mound. She would cross the Black River on a log boom in what is now Appleyard's subdivision, and then continue walking cross-country to Granton for confirmation instruction classes. After class she would walk all the way back home. Her mother would meet her on the other side of the log boom with a lantern in the dark, and they would walk home the rest of the way together during the short days of the winter months. Globe's history record also tells of children walking to Granton for religious instruction. These were the kinds of obstacles facing the German settlers who wanted spiritual instruction for their children. Another obstacle was that pastors, when they were available, didn't necessarily match your beliefs because the Lutheran and Reformed union back in Germany muddied the theological waters. Pastor Adolf Hoyer from Princeton was asked by some former members of his congregation, who had moved to Neillsville, to preach God's Word to them. He may have come another time as early as 1885, but when he came on January 10, 1886, to administer the living water of the means of grace to six families in the Neillsville area, he suggested that these families quench their children's and their own spiritual thirst by engaging a seminary student to teach school and conduct regular worship services. Think about anything major your congregation is encouraged to do. How long does it take to talk about it, formulate a plan, and implement it? It often takes weeks maybe, usually months, sometimes years. I remember when our church was reroofed. People knew for a long time that the roof needed replacing. Then it actually started leaking through the roof onto the pews for quite a while before a new metal roof was finally put on. Pastor Hoyer, who later became the chairman of the North Wisconsin District Mission Board and helped organize a number of congregations in central and northern Wisconsin, had such good encouragement and the families' desire for regular spiritual nourishment was so great that by the end of the same week, Mr. Herman H. Ebert, a student of the Theological Seminary at Milwaukee, had already arrived by train. That next Sunday he preached his first sermon and opened the Christian Day School on Monday morning, January 18, 1886. And this was before email, telephone, or easy instant communication, other than telegraph, was available! Within a week they had decided if they were going to implement the plan, how they were going to implement the plan, how they were going to pay the teacher's salary, where he would live, where school would be held, and a multitude of other details. How desperate their desire for a steady stream of living water must have been to act with such urgency! 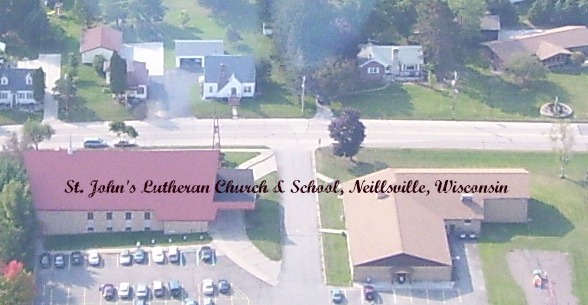 Between 18 and 20 pupils were enrolled the first day in a small office in downtown Neillsville, learning the same curriculum as the public school with the addition of German and Religion. Saturday morning confirmation classes were held, and Sunday afternoon worship services were conducted regularly in the local Presbyterian church. The Presbyterian church faced north along 5th Street and was formerly located on the two lots where Davis Chiropractic and the house west of it are now located. It was between what is now Fringe Benefits and Foster's eye office. It later burned down, around 1929. Mr. Ebert left in mid-April to recover from a stubborn sore throat he had contracted the previous winter helping a pastor in the Wausau area with his 8 congregations. The Seminary board then sent another student, Mr. Frederick J. Eppling, to carry on the work. He preached his first sermon April 20, 1886, and by that time the school had over 30 students. The local Christians became eager to unite into a congregation and asked Professor August Graebner of the Theological Seminary at Milwaukee to come. 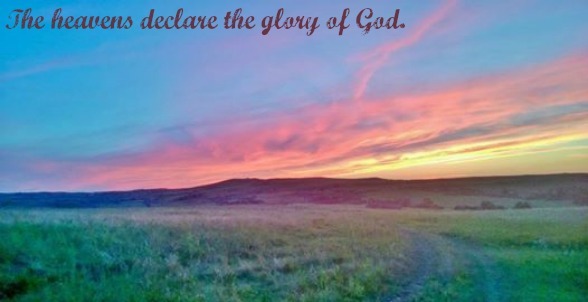 He conducted a worship service with Holy Communion on September 6, 1886 (our congregation's official starting date) and helped draft a document of organization signed by 17 men. 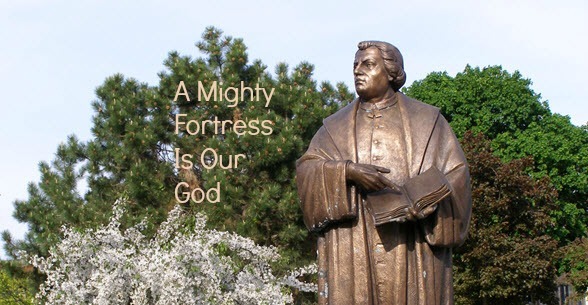 Their desire was that God's Word and Luther's pure doctrine would alone have full sway. So right from the beginning, the Wisconsin Synod was very instrumental in the formation of our congregation. 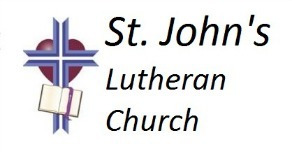 On November 10, 1886, the name St. John's Evangelical Lutheran Congregation was given. H. Meyer was the first congregational chairman. On December 5, 1886, a meeting was held to call a pastor, their student's father, F. Eppling Sr., from Van Dyne, Wisconsin, but he declined. On January 9, 1887, another call was extended, this time calling their current student leader, Frederick Eppling, Jr. The seminary faculty urged him to accept and on Easter Sunday, April 10, 1887, he was ordained and installed as St. John's first pastor. (This is why we held our last celebration close to Easter, since that is when St. John's gained their first resident pastor.) He also served Globe as a preaching station. The young congregation now had much enthusiasm to build their own church and school. Property was purchased for $250.00 at 5th and Oak Street. On May 8, 1887 they applied for membership into the Wisconsin Synod and at that year's Synod Convention in June were accepted. On June 12, 1887 the cornerstone for the new church was laid and on October 9, 1887 the finished building, facing 5th St. and erected at a cost of $3,390.00, was dedicated to the service of the Triune God. The November 1, 1887 issue of the Gemeinde-Blatt, the German Synod publication, states on page 39 of Volume 23 #5 that the congregation gathered Sunday morning at the Presbyterian church where they had worshipped. The joyous gathering, despite bad weather, proceeded down the 5th Street hill to their new church. The procession included in order: first the building committee, then the master builder (Heinrich Roettiger from Fountain City, Wisconsin), then the pastors (Eppling Sr. & Jr., Rev. Max Hensel of Platteville, Pastor Thom of Marshfield who also directed the visiting choir from his church, and Pastor Denninger of Maple Works (Granton)) carrying the Bible, the agenda, the Catechism and hymnal, then the elders carrying the communion ware, and then the church members and festival guests proceeding 2-by-2 down the hill, first men, then women. They sang "Thus far has the Lord brought me" in front of their new church building, then master builder Heinrich Roettiger handed the church keys to the pastor, who spoke a short address and opened the church in the name of God. Everyone filed into church, which had been beautifully decked out with flowers and leaves by the ladies of the congregation, and the building was immediately filled up to the very last spot. Rev. Eppling, Jr. did the rite of dedication and his father gave a very impressive sermon in German. The service included congregational singing, a choir selection, and a Marshfield choir selection. After the morning service ended an English afternoon service was conducted by Pastor Eppling, Jr. and an evening service in German took place led by Rev. Max Hensel of Platteville. The article also mentioned that "the congregation, suffering under difficult circumstances was permitted to experience some benevolent assistance from the outside in their efforts toward building their own church," but doesn't mention what kind of assistance they received or from where. (Was it financial assistance or help of some other kind from an outside source? We don't know.) The article finished by proclaiming, "To the Lord be Thanks for All of It!" Rev. Doehler was called to Two Rivers, Wisconsin and Rev. Frederick W.A. Thrun became our pastor on October 30, 1892. In 1893 a parsonage was built at 4th and Oak. Pastor Thrun's leadership included zeal for Christian education. The school grew to over 50 pupils. A church building was erected at our sister congregation at Globe, which continued to be served by our pastors. In 1897 Louis Serrahn was called to be the first full-time teacher who was not also the pastor. In 1904 Pastor Thrun took a call to Bay City, Michigan, and Rev. Herman J. Brandt became our pastor. In 1906 the school building was moved across the street from the church to 6th and Oak and an addition put on. In 1912 an addition was put on both sides of the church so it was now in the shape of a cross. Pastor Brandt also served Globe until 1916 when they called their own pastor, and he served Columbia (southwest of Neillsville) until 1927. In 1919 lots west of the school were purchased as a playground, and the house west of the old church was purchased as a teacherage in 1926. The congregation had grown to about 40 communicants. The work of proclaiming Jesus Christ, the Living Water, proceeded unhampered until 1928 when the Wisconsin Synod as a whole and St. John's of Neillsville in particular suffered trial. 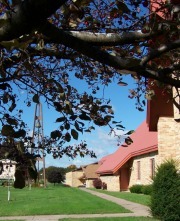 In two separate instances, one in which students at Northwestern College were caught stealing and subsequently punished, and one in which two female teachers in Fort Atkinson were rebuked by their pastor for disrespect, some members of the Synod protested against the way authority dealt with the cases. The protest spread and pastors and lay people took sides that were emotionally charged, with the protestors characterized by feelings of distrust against those in authority. Pastor Brandt was on one side of the controversy, Pastor Motzkus at Globe and Pastor Hensel from Immanuel Marshfield (Missouri Synod) were among the protestants. St. John's was fractured and a group left to form The Grace Church of the Protestant Conference in the old Norwegian Lutheran Church building (Chuck & Elaine Glassbrenner's home by Cliff's Park is built on the old church's foundation) with Karl Koehler, a former professor at Northwestern College who had resigned over the stealing controversy, as their leader. The Grace Church of the Protestant Conference no longer had its own pastor 7 years later, and although a former seminary professor and Karl Koehler's father, John P. Koehler, held protestant services in his home in Neillsville along 1st Street near Schuster Park for awhile after that, most of the members who left St. John's gradually returned one by one. This affair greatly disturbed Pastor Brandt and he resigned in July of 1928. On September 2, 1928 Rev. William A. Baumann became pastor. He served for 20 years, until 1948. During his leadership a second teacher for the lower four grades was added to the school staff and learning German was discontinued. At the 50th anniversary of the church and school in 1936 the school had 75 pupils. The need for a new, larger church grew. Plans were drawn up in 1947 for a combined church and school to be built on an old lot at 5th and Oak, but that plan was eventually dropped. In October 1948 Rev. Baumann left. Eight-nine acres were purchased on the west side of Neillsville for $4,000.000 that same year in November. Pastor Alfred C. Schewe arrived in January 1949. Since each of the two school teachers had 50 or more students to teach and keep in order, and the overcrowded school was bursting at the seams, a new school building was given priority. On August 28, 1955 the cornerstone of the new school was laid and the 4-room building was dedicated on November 11, at a cost of just over $107,000.00. The cornerstone contains a Bible, catechism, Lutheran Hymnal, the book Our Synod and Its Work, Luther's 95 theses, the Augsburg Confession, Northwestern Lutheran (our Synod's magazine), St. John's Constitution, Golden Anniversary Book, 1954 Annual report, August 28, 1955 bulletin, March 24, 1955 Clark County Press, and a list of the names of the pastors, faculty, church council, school board, building committee, architect and contractors, U.S. president, Governor and mayor, and a copy of the school record card and report card. The new building in the dedication program was described as "practicability…simple beauty…durability…value received for money spent!... . These are the striking features of our new building." The teachers were Principal Victor Lehmann, Mrs. Victor Lehmann, and Miss Darleen Bailey, with the 4th classroom used for catechism instructions, choir rehearsals, and smaller group meetings at first. In 1958 Pastor Schewe took a call to Milwaukee and Pastor Norman W. Lindloff was installed on February 1, 1959. German church services were discontinued at this time because Pastor Lindloff wasn't comfortable preaching in German. Before that Pastor Schewe had a German service and an English service with the German service having a lot fewer in attendance. By July 1960, the school was paid off and the mortgage burned. This gave the congregation the confidence they needed to undertake and pay for another big building project, the building of a new church on the same property as the school. Ground was broken on March 24, 1968. The old church's heating system was on its last leg and there were no lavatory facilities. After 30 years of planning for a new larger church, the congregation watched it go up with great anticipation. The cornerstone was laid on September 22, 1968 as part of the congregation's mission fest. In it was placed: a 51-year-old metal plaque issued in observance of the 400th anniversary of the Reformation (issued in 1917, it had a metal picture of Luther and the old church on it), a Synod centennial plaque, a Clark County Centennial booklet from 1953, a 50th anniversary booklet of the Western Wisconsin District, 50th and 75th anniversary booklets of St. John's, the latest "Meditations" devotional, a copy of the pamphlet "This We Believe" stating the beliefs of our church, ashes from the mortgage burning of the school, a Clark County plat book, a copy of the booklet used on the new courthouse' open house, a congregational constitution, an annual report, a list of school children and teachers, a list of building committee members, name of the architectural firm and building contractor, a list of all the organizations of the church and school, a list of the 1969 confirmation class, a copy of the current Clark County Press and current Milwaukee Sentinel. At the same time Edgar Tews was building a new parsonage east of the rising new church. That school year (1968-1969) enrollment peaked at 123 students. Last evening we had a building committee meeting and again I had to inform the committee that the church furniture manufacturer had not replied to our last letter and hence I had no information that I could give them. They are very disturbed, as I am also, since we have honored our part of the contract with the down payment and since that time have found it extremely difficult to communicate with you. I heard Mr. Flaeschel was here last Friday but I did not see him. I should have been informed that he was coming for I have many other things to do besides sit and wait which I did during the Christmas season when we were told that he would be here and should have been here. We can only believe that we are in some way getting the old run-around for we did not even get an answer from you much less do we get any information that we have requested and have a right to request. Now, very frankly, if we can't communicate then we have no other choice but to place this entire matter in the hands of individuals who will make an investigation for us. We signed a contract with you people in good faith and believed you were doing the same with us but somewhere along the line we have been getting the feeling that all is not as it should be and for obvious reasons. The contract date is March 4th and certainly it does not take a year to build a few pews and some chancel furniture. At the time of the contract signing we were given to understand that when the church was ready we would have pews – all right, now where are they? We demand an answer! We expect a reply and an immediate reply. But the upside was that after the pews finally arrived, Lee said that the company gave us an outstanding deal on the metal folding chairs so they didn't have to ship them back and try to sell used chairs. That is where we got many of the chairs we still use today. In late 1969 the old church was torn down and the property sold in 1971. The old parsonage was sold in 1970. By June of 1980, the debt on the new church was entirely paid off. In March, 1982, Pastor Lindloff's wife died and he was greatly affected. The congregation decided the next month to ask the Synod for a vicar to help him with the work load. Vicar Wolff was installed on August 8, 1982. The following February Pastor Lindloff had a heart attack and Vicar Wolff was left with all the pastoral duties but brought the congregation through difficult times very well. By August, after a bypass operation, Pastor Lindloff was again helping with congregational business and doing the liturgy. Vicar James Gauger was the new assistant and Rev. Lindloff gave his installation sermon. In October 1983 a new gable roof and insulation were put over the old flat school roof. But the work proved too much for Rev. Lindloff and he moved to the Milwaukee area in August of 1984 around the time Vicar Gauger's year of service was also done and he went back for his last year of seminary training. Pastor Richard Weber accepted the call to St. John's in December, 1984, and was installed January 14th, 1985. In September of 1988 a Kindergarten class was added to the school. 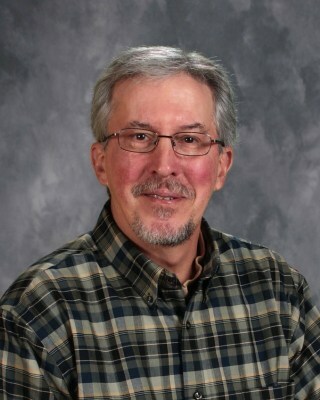 Principal Steven (Skip) Bremer's wife, Kathy, was the first Kindergarten teacher. Taping the church service to be shown on the local cable channel was also begun while Pastor Weber was here, and the church got its own furnace so that it was no longer heated from the school with pipes going through the underground tunnel connecting the two buildings. In 1994 a new teacherage was built adjacent to the current church and school property. The old teacherage had been sold previously and principals were living in rented homes until this time. Principal Paul Lange and his wife Becky and their family were the first to live in it. December of that year marked the resignation of Pastor Weber. In January, 1995, Pastor Timothy Biebert accepted the call to become the next pastor of St. John's. Within a few months a church and school secretary position was added, filled by Judy Trunkel. During the next several years, many improvements were made to the "new" church which was already almost 30 years old: a new metal roof was installed, the interior (which used to be green) was repainted, pew cushions were added and the stained glass windows on either side of the altar were replaced. Mr. Herbert Blum made decorative and spiritually meaningful wood carvings for the altar, lectern, baptismal font, and pulpit, in addition to many other wood and aluminum carvings he made for the church, school, and the Globe congregation. A set of handbells was given as a memorial. The congregation moved the pews to the gym and worshipped there during the summer of 2001 while the church was recarpeted. New playground equipment was installed for the school, a new church sign was built and the church basement was finished off with bathrooms, a ceiling, and a kitchen. In 2006 a preschool program was started, with Jennifer Anderson (later Shadrick) called as the first teacher. The preschool has been a useful instrument to bring living water to parents and children who otherwise may not have had an opportunity to drink from God's life-giving stream. A new digital organ was purchased in 2007, and just before our school turned 125 years old, a new heating system was installed there. The following summer, in 2011, the gym was repainted from blue to yellow and the school gym, hallway, and office were retiled. As our church celebrates 125 years of God's gracious supply of living water, our congregation is making strides to get our debt, which has been a burden for years, paid down. On May 22, 2011, St. John's held the first of its three 125th anniversary celebrations with a focus on the past. It was celebrated in conjunction with 8th grade graduation and Mrs. Marilynne Maciejczak's retirement party, after teaching here 25 years. The day included a special worship service led by former teacher Rev. Mark Lindner, and former student Rev. Harold Schewe, Pastor Schewe's son. Many other former school teachers and students also came to sing "God Bless our School" at the end of the worship service, be entertained by Jake the Juggler and the St. John's school children, and enjoy a delicious meal. For our second 125th anniversary celebration on September 18, 2011, focusing on the present, worship was led by our current Pastor, Rev. Timothy Biebert, and Rev. Herbert Prahl, our Western Wisconsin District President. Men who have served as congregational chairmen and are still current members were honored. A family reunion picnic-type atmosphere characterized the carnival-type games, prizes, and food despite the inclement weather. Our last 125th anniversary celebration held on April15, 2012, and focusing on the future, began with a worship service of praise and thanksgiving, with President Paul Wendland of Wisconsin Lutheran Seminary preaching. A concert by Mike Westendorf and a wedding banquet-type meal, a picture of heaven, rounded out the day, followed by a history presentation. 1986 September Mrs. Maciejczak called to teach 1st-2nd grades half-days. 1987 Mr. Schallert accepts call. Schallerts move. 1987 Steven Bremer assigned as principal and upper grades teacher after graduation from Dr. Martin Luther College. 1988 September Kindergarten started. Kathy Bremer called as first Kindergarten teacher. 1990 May Mrs. Maciejczak moved to full time. 1991 Church got its own heating system-no longer heated from school through the tunnel. 1991 February Mrs. JaNel Heiman called to teach Kindergarten. 1993 February Mr. Steven (Skip) Bremer accepts call to Zion Lutheran, Torrance, California. 1993 May Mr. Paul Lange accepts call to become principal. 1993 July Mr. & Mrs. Paul & Becky Lange move to Neillsville. 1994 December Rev. Richard Weber resigns. 1994 December Call made to Rev. Jonathan Rossman. He returns the call. 1995 January Call made to Rev. Timothy Biebert. He accepts the call. 1995 February Rev. Timothy & Mrs. Linda, Nathaniel, Zachary, Samuel, Joseph, & Jacob Biebert move into parsonage. 1995 July Judy Trunkel assumes duties as part-time church and school secretary. 1996 July Standing seam metal roof installed on church. 1996 September Handbells donated to church in memory of a loved one. 1997 Church interior repainted from green to its present color. 1998 Spring Handbell choir attends their first Handbell Festival. 1998 Mr. Herbert Blum finishes carvings for pulpit to complete the set of church furniture carvings begun in 1995. 1999 Pew cushions, school painting project, stained glass windows. 2000 June Mrs. Nemitz celebrates 25 years in the teaching ministry. 2001 Summer New church carpeting installed. 2001 Summer-Fall Parsonage Roof & Siding Project. 2001 Fall New playground equipment purchased and installed. 2002 February Parish assistance based organizational structure ratified and implemented. 2002 June Church sign built and installed by member. 2002 May Mr. Paul Lange accepts call to St. John's Burlington, WI. 2002 June Paul & Becky Lange and family move to Burlington. 2002 July Mr. William Tomlin accepts call to become principal. 2002 July Mr. and Mrs. William and Bethel Tomlin and family transfer in. 2005 School building turns 50. 2005 Mrs. Maciejczak celebrates 25 years in the teaching ministry. 2005 Church basement kitchen completed. 2006 April Issued call to Jennifer Anderson to teach Preschool. 2006 May Jennifer Anderson accepts our call to teach Preschool. 2006 September Preschool begins in church basement. 2007 May New digital organ installed on trial basis. 2007 June New digital organ purchased. 2007 October New digital organ dedicated. 2009 June Pastor Biebert celebrates 25 years in preaching ministry. 2009 August Established one church service @ 9:00 with Sunday School & Bible class at 10:15. 2010 January New Constitution and By-Laws ratified. 2010 May Implemented Monday evening worship service. 2010-2011 St. John's school's 125th year. 2010 Dec-Jan 2011 Installed new boilers in school. 2011 St. John's church's 125th year. 2011 May 22 First 125th anniversary celebration, focusing on the past. 2011 May 22 Farewell celebration for Mrs. Maciejczak. 2011 June Mrs. Maciejczak retires from teaching. 2011 September 18 Second 125th anniversary celebration, focusing on the present. 2012 April 15 Third and final 125th anniversary celebration, focusing on the future. May St. John's continue to proclaim the pure Word of Jesus Christ, the Living Water, into the future—for whatever time God allows this earth to remain! Additional history details can be found in our 50th and 100th anniversary books, which can be found in the church library. A pdf file of the history printed above, including pictures, can be downloaded here. Pastor Biebert graduated from Wisconsin Lutheran Seminary in 1984. After being called to serve 3 rural congregations (1 in rural Beaver Dam, WI, and a dual parish in Ridgeland, WI) the Lord called him to serve here at St. John's in 1995. His wife, Linda (married in 1982) and he are the proud parents of 8 children. Pastor Biebert enjoys sharing the Word of God with His people in worship and Bible Study settings. He enjoys working with the other called workers and staff of our church and school. You will always find him willing to listen to any personal concerns you may have and talk about them in the light of God's Word. He continually prays that the Lord would use him in whatever way best serves His Kingdom here at St. John's and in the community of Neillsville.